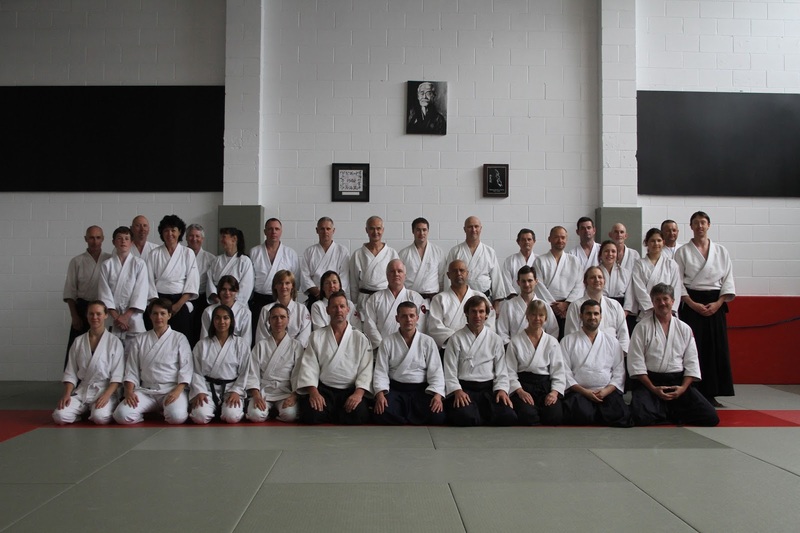 For those of you who don’t know, Phillippe Orban Sensei (6 Dan Aikido) is a regular visitor to our shores. 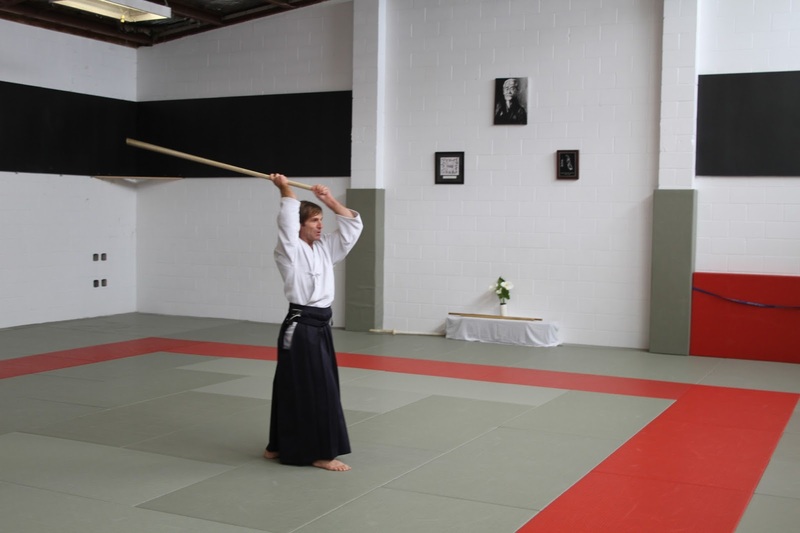 This is now his fifth annual visit to New Zealand, which is part of his lasting connection to the Jikishin Dojo and its founder Filip Maric. Phillippe is a great exponent of aikido evolution and freely admits that his aikido experience is, and continues to evolve and change as he progresses, which is, after all, part of Aikido – constant change and evolution. 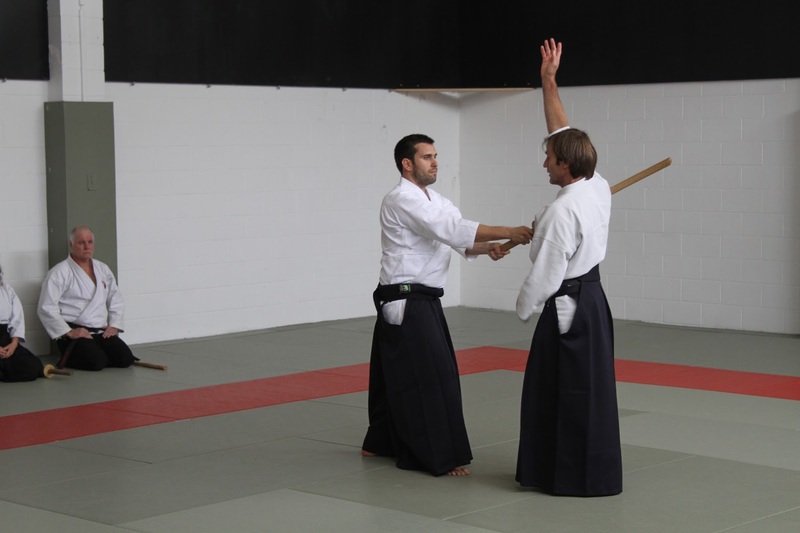 To those of you who have studied with Phillippe before, you would have probably been aware that his Aikido this year was subtly, but markedly, different to last year. The fundamental lessons underpinning the seminar (my interpretations anyway) were the unity of the 6 directions, the balance and alignment of the 3 centres, and the extension and loosening of the body. Some of you are no doubt aware of the 6 directions principle: that is our connection to a vertical axis expressed as up-and-down, and two horizontal axes expressed as forward-and-back and left-and-right. Collectively – 6 directions. Within this structure sits our body and by movement, we interact with these axes in differing ways and at differing times. Walking, for example, is an expression of movement along the forward-and-backward axis but may not involve either of the other four. Irimi, for example, is a lateral translation of all 6 axes from point A to point B. Tenkan is, or at least should be a revolution around the vertical axis that may not necessarily involve any of the other axes. Gone are the long loopy turns and complex backwards and forwards movements – in come the direct, the succinct and the sharp turns and irimi movements. Second on Phillippe’s list of important principles is the alignment and balancing of the 3 centres. 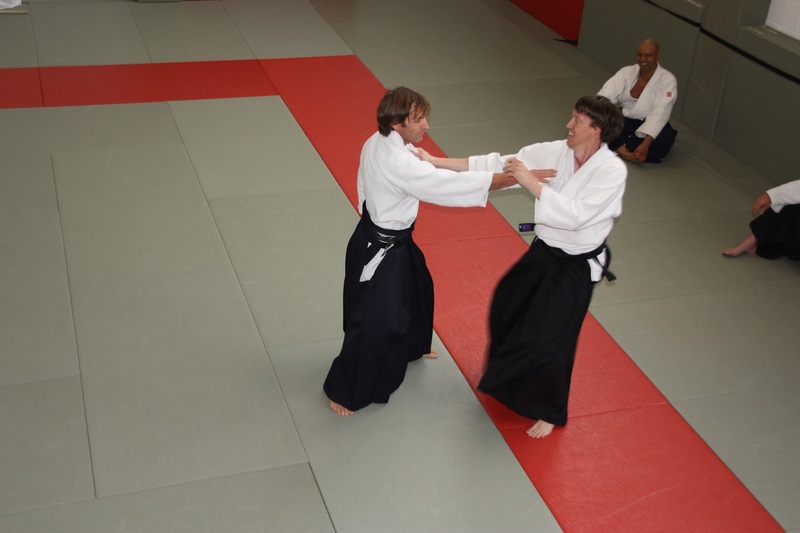 Most of us are aware of the seika tanden in Aikido, that point of balance and poise somewhere below our navel, but Phillippe brings a further dimension to this, along the lines of Akuzawa Sensei’s suggestion, by introducing the concept of the ‘chest’ centre and the ‘head’ centre. These apparently help in aligning and centring the upper portion of the body. While the seika tanden sits in the hip bowl to a certain extent, leaving you chest uncontrolled simply forces your balance out over your toes or back over your heels, and likewise the head – a cumbersome heavy object sitting on a stick thin structure (my neck anyway) – is a fundamental part of our overall upper body balance. Too much left, right or back and forward and your balance, and therefore your whole body movement is want to suffer. Finally, Phillippe brought the subtle but clearly very important idea of extension vs tension into play. Using our muscles and tendons to ‘stretch’ gives only tension – a force applied between two points – you and Uke for example or your shoulder and your hand as another. Extension, however is the ability to loosen your joints and allow your body to move ‘beyond your muscle suit’ as Phillippe puts it and brings into play an entirely different set of possibilities. As most of us know tension is an almost insurmountable problem in physical movement – we are usually battling tension somewhere in our body – neck and shoulders are a usual favourite, but back, hips and legs usually come a close second. Phillippe expresses the urgent and continuous pursuit of a type of relaxation that is neither positive nor negative, yes nor no, hard nor soft but rather something less definite and therefore something that Uke struggles to perceive and work against. It is, as he puts it, the ability to ‘disappear’ from Ukes force perception. With no force for resistance, pushing, pulling, grabbing, manipulating etc. Uke is left with no ability to counteract what you are doing. It’s advanced stuff and certainly food for thought for a lifelong practice. Nevertheless, as Phillippe puts it, there are many ‘old’ sensei who have learned to develop and use exactly this kind of alignment and movement due to age. As we grow older our bodies tend to want to do less, or are capable of doing less, so efficiency and reduction in effort becomes paramount, while efficacy still must remain. If we can learn this kind of movement and alignment now, why we would not? Better to learn the key lessons now while we are young(er) than continue with energy heavy body movements until we have to adapt later. On a final note, it was good to meet a large group of Phillippe’s students that he brought with him from various dojo in Germany and to rain with students that have regular access to his mode of thinking and practicing. It was also good to see many new faces I have not seen before at Phillippe’s seminars and always good to make new connections and train with new people as a result. 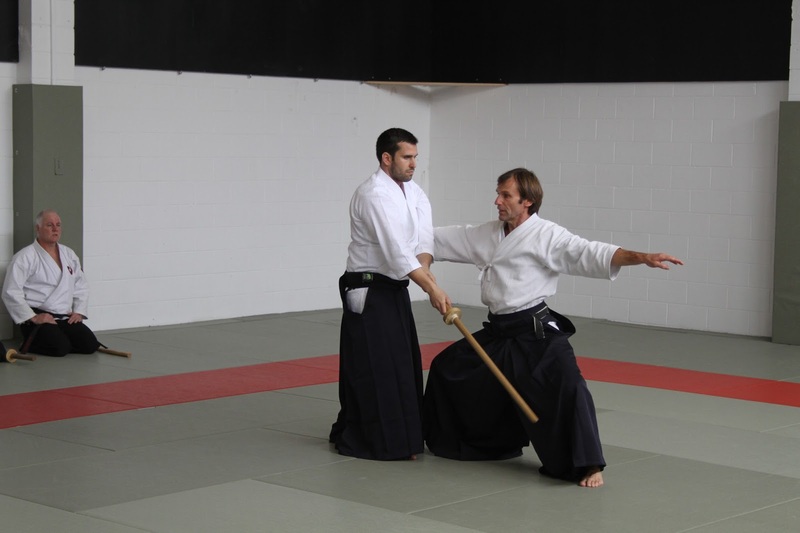 I have plenty to work on in my own practice as a result, and I am looking forward to next year – assuming we are once again on the Fudoshin NZ tour schedule. Thanks to Phillippe of course for his time and insights, to one and all for the great atmosphere, to all those who helped out in front of and behind the curtain, and especially to Filip Maric for taking time from his own hectic schedule to arrange and orchestrate the entire event!